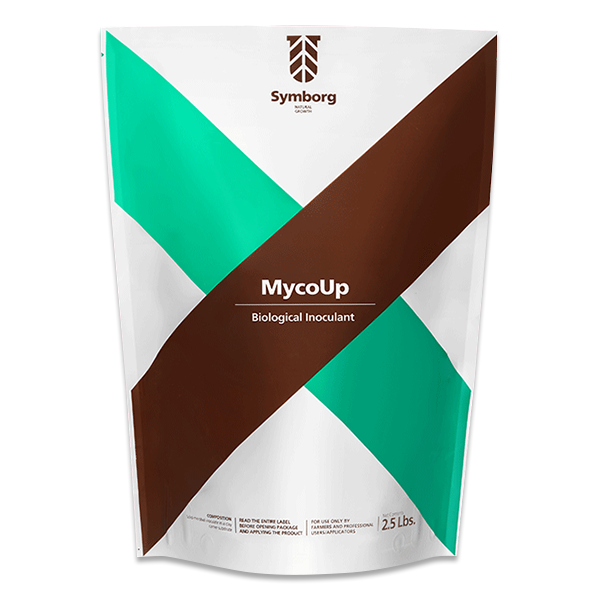 MycoUp is a biological inoculant developed in a solid substrate. MycoUp contains a specie of arbuscular mycorrhizal fungus (AMF) which possess a high grade of efficiency and biological stability under a diversity of edaphoclimatic conditions. MycoUp acts directly developing an intense mycorrhizal colonization of roots which promotes the root growth and thus a higher water and nutrients uptake. The results is a major vigor and yield of crops. MycoUp is a biological inoculant which contains as active micro-organism the beneficial specie Glomus iranicum var. tenuihypharum var. nov., in a clayey substrate with a minimum guarantee concentration of 1.2 x 104 propagules in 100 ml of product (in accordance with Most Probable Number). MycoUp can be applied to all crops except Chenopodiaceae, Cruciferaceae (cole crops such as cabbage, cauliflower or broccoli), Fumariaceae, Cyperaceae, Commelinaceae, Urticaceae (nettles) and Poligonaceae (buckwheat, rhubarb). Horticultural crops: apply with a rate of 2.5 lb/acre from the seventh day after the transplantation in either green house, field or hydroponic. On strawberry: apply with a rate of 2.5 lb/acre, from the twentieth day after the transplantation. Dissolve MycoUp in water previous to its application in a separate container. Apply MycoUp through irrigation system, including drip systems or another technique which ensure the proper application to soil. It is recommended to begin the irrigation process with water while adding MycoUp gradually toward the end, keeping the agitation constant. Avoid applying the product during hours of maximum sunlight. MycoUp is not recommended to apply together with any other type of product. MycoUp is compatible with most of the soil-applied fungicides available on the market currently. MycoUp can be stored at room temperature for up to 24 months. For longer periods, store in a cool dry place in its original packaging.